The popularity of videos can be attributed to the fact that they are engaging and use offer the viewers with experience of motion, sound and story.There are many popular YouTube Travel Brands and Channels , here are few YouTube Best Practices to make a travel channel on YouTube get more hits. For travel channels or any other YouTube channels, following an upload schedule is important. The creator must decide when he can create and upload videos and follow the schedule regularly. This is important to keep the audience engaged.Your posting schedule must be informed to the audience through your channel and your social media page also. Use catchy titles for your travel channel videos so that people will go and watch them. The video thumbnail image should be created carefully and this should give an idea to the viewer about the content of the video. Attractive titles and thumbnails are very crucial for increasing click through rate. Optimize the video metadata.This can be done by choosing to write the description about the video and the channel. Include primary keywords in your descriptions and tags. Tags need to be limited to around ten primary keywords. Give a YouTube community name to the audience and this works as a powerful tool to make the people happy about being part of a community. Allow the audience to converse with you, make comments and ask questions. A successful travel band and channel on YouTube needs to be promoted on social media also. You can use Facebook, Twitter, Snapchat or Google + for this purpose.Embed the link to your videos or post interesting pictures on these social media platforms where you find a large number of your audience. You can also share your pictures on Instagram, Pinterest etc. Engaging the existing audience and inviting new audience can be done by interacting creatively with the people. Do not neglect to respond to the comments, compliments on social media sites.This will increase the audience engagement and helps for the Travel channel to grow. At the end of your Travel videos, request the audience to subscribe, follow you on social media or comment on the video.There is nothing wrong in asking the audience what you want them to do after watching your videos. Collaboration with other Travel vloggers will help your channel to grow. This helps in getting more audience for your channel. YouTube is a popular site for uploading videos and thousands of videos are uploaded to YouTube every minute. To stand out from, the crowd and to get recognized, the creator needs to really work hard. One way to reach more people is to post your video as a response.Find the most popular video on YouTube related to your niche and post your video there to make sure that people find your video and watch it. Search for Travel bands and channels that are similar to your channel. Subscribe to these channels and if possible request them to feature your YouTube channel.Comment and rate the videos other YouTubers post. This helps to maintain contacts with other vloggers. There are some YouTubers who become popular instantly by posting some really good content videos but most of the people developing a channel take a lot of time.Be patient and keep posting the videos. To keep the subscribers engaged, be loyal to them. Remember, they enjoy your travel videos and so offer content consistently. 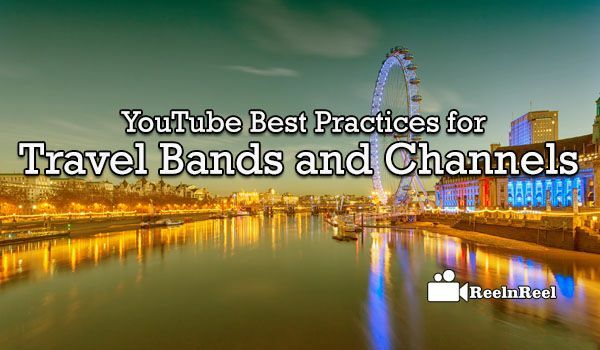 YouTube travel bands and channels can build the relationship by sharing the content.You can share the content that shows the attractions in your area. here is the YouTube Best Practices for Travel brands and Channels to stay popular on YouTube ever.